The Islamic State's (IS) 'Amaq News Agency reported that a suicide attack waged by the group at an Afghan intelligence headquarters in Kabul resulted in nearly 110 casualties. 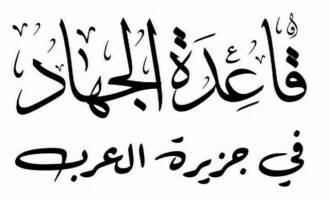 A "source" in Nusrat al-Islam wal Muslimeen (NIM), al-Qaeda's (AQ) branch in Mali, reportedly denied news that the group's official for Gao was killed. 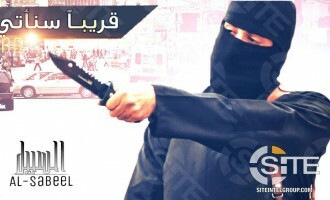 An Islamic State (IS)-linked group called to kill Spanish police in a poster in English and Spanish. 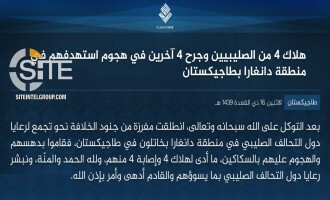 Just a half-hour following 'Amaq News Agency reporting the group's responsibility, the Islamic State's (IS) Khorasan Province issued a formal communique for the suicide bombing at a Hazara private school in the Afghan capital, Kabul. The Islamic State's (IS) 'Amaq News Agency reported that the group is responsible for the suicide bombing at a Hazara private school in the Afghan capital, Kabul. 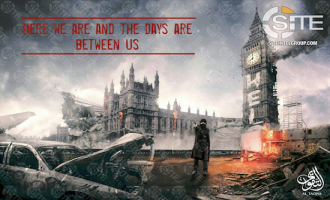 An Islamic State (IS)-linked group used an apocalyptic rendering of Big Ben in London to threaten for attacks in the West. 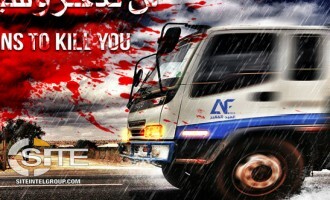 A pro-Islamic State (IS) group launched a poster series advising on vehicular attacks, and in the first installment gave tips for targeting soldiers. An Islamic State (IS)-linked group used a screen capture from the New York modification for the Fallout 4 video game to depict a beheading. 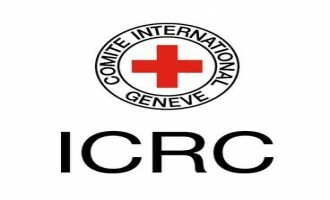 The Afghan Taliban announced its decision to rescind its "security commitment" to the International Committee of the Red Cross due to inaction by the humanitarian organization towards a hunger strike at Pul-e-Charkhi prison. After providing daily updates on its military activities and conquests over the past four days in the capital city of Afghanistan's Ghazni province, including the killing of over 200 Afghan and 10 American soldier, the Afghan Taliban boasted of its success and the "failure" on U.S. strategy in the country. In a video featuring disabled fighters, including those blind and wheelchair-bound, the Islamic State's (IS) Khorasan Province urged Muslims to immigrate for jihad and not find excuses for inaction. 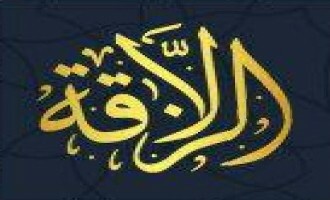 Al-Qaeda (AQ) promoted reverence for Islamic scholars in Nafeer 27 and urged those scholars who are disparaged to preserve amid adversity. 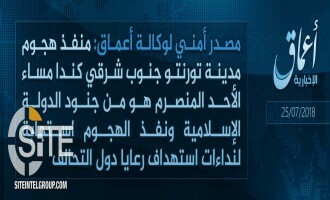 The Islamic State's (IS) Khorasan Province claimed killing American soldiers in a bomb blast on their vehicle in Nazyan district in Nangarhar, Afghanistan. 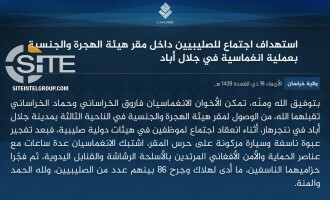 After the Islamic State's (IS) 'Amaq News Agency reported that fighters attacked Nigerian soldiers in the Lake Chad area, the group's West Africa Province issued a formal communique for the operation. 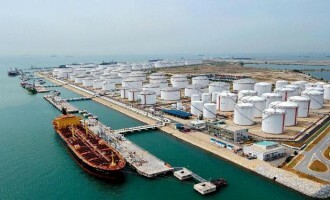 In subsequent posts in a discussion launched by an Islamic State (IS) supporter about maritime attacks on military, commercial, and civilian ships, that user and another examined the targeting of such vessels, especially with the presence of radar systems. Following its kidnapping of Druze prisoners in Syria's Suwayda governorate, the Islamic State (IS) reportedly sent another hostage video of two Druze women to their families. 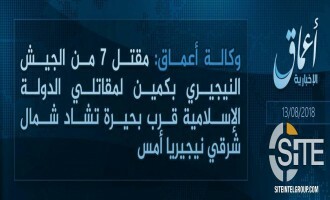 The Islamic State’s (IS) ‘Amaq News Agency reported that IS fighters killed seven soldiers from the Nigerian Army in northeast Nigeria. 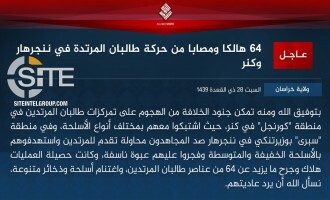 The Islamic State (IS) claimed killing and wounding 64 from Afghan Taliban Forces in Afghanistan’s Kunar and Nangarhar provinces. 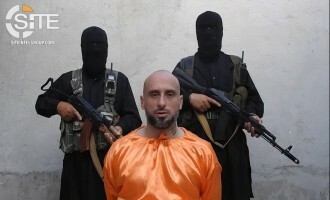 A pro-Islamic State (IS) group depicted Telegram founder Pavel Durov as an IS captive to be executed. 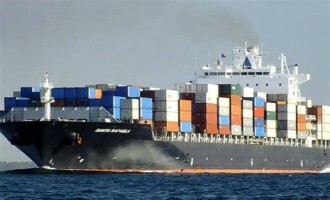 An Islamic State (IS) supporter suggested maritime attacks on military, commercial, and civilian ships, questioning why the 2000 USS Cole operation cannot be repeated. The Islamic State (IS) released the second episode in a video series providing statistical breakdowns of IS operations, covering in this installment the week of August 2 – August 8, 2018. 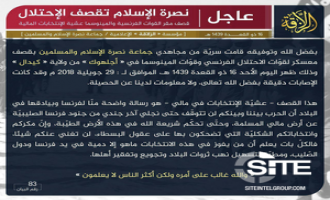 The Islamic State (IS) reported on an attack on a Libyan military checkpoint and camp in Jufra in Naba 143 and separately published photos from the operation. 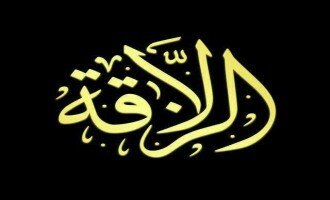 The al-Qaeda (AQ)-aligned Hurras al-Deen condemned Islamic militant groups reconciling with the Syrian regime as being "weak" in faith and morals. 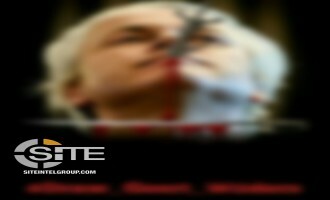 A jihadist called on Muslims to kill Dutch parliamentarian Geert Wilders in response to the Muhammad cartoon contest organized by his PVV party, and urged jihadi Telegram channel administrators to promote the demand. The Islamic State (IS) published a photo report from what it is now calling "East Asia Province" showing a mortar strike on a Philippine army base in Sulu in the Philippines. 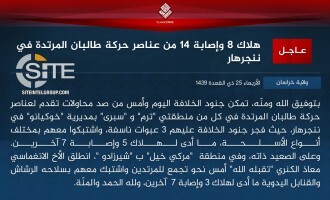 The Islamic State's (IS) Khorasan Province claimed inflicting a total of 22 casualties among Afghan Taliban fighters in a suicide attack, a clash, and 3 bombings in Nangarhar in eastern Afghanistan. 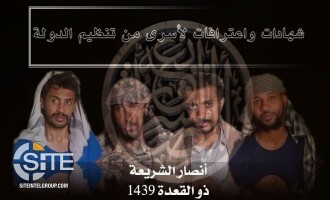 In the latest in the back and forth between al-Qaeda in the Arabian Peninsula (AQAP) and the Islamic State (IS) regarding their conflict, the former released a video featuring IS prisoners confessing to the IS' vitriol for the group and the baseless charges it levied. Amjad Media, the visual media arm of Hay’at Tahrir al-Sham (HTS), released a video showing the military camp of the group’s “highly trained” forces called the “Red Bands,” glorifying the HTS fighters as those who do not betray the blood of the fallen by submitting to agreements and negotiations with the enemy. 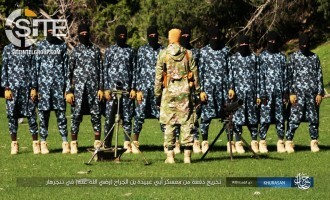 The Islamic State's (IS) Khorasan Province published photos from its "Abu Ubaydah bin al-Jarrah" training camp in Nangarhar in eastern Afghanistan. The pro-Islamic State (IS) Jundul Khilafah Kashmir clarified which are its "official" channels and rejected claims in its name that have appeared elsewhere. 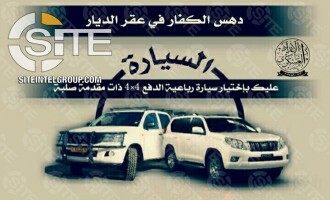 The Islamic State (IS)-linked group behind the recent bio-terror incitement video and propaganda posters reminded that vehicles also serve as an attack method. 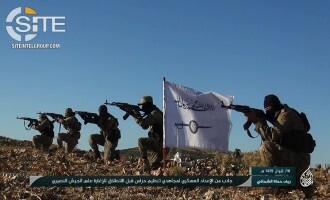 The al-Qaeda (AQ)-aligned Hurras al-Deen claimed an offensive on Syrian military positions in the town of Jurin in Syria's Hama governorate and published photos of the attack. 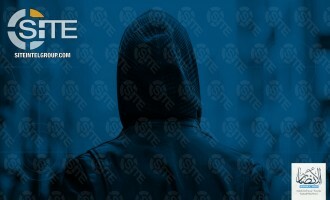 The Islamic State's (IS) 'Amaq News Agency released a video of an alleged former al-Qaeda in the Arabian Peninsula (AQAP) fighter who joined the group and who criticized the AQ branch for cooperating with the Yemeni army. 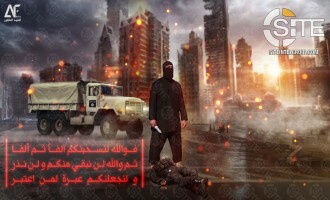 A pro-Islamic State (IS) group warned of attacks with a poster showing New York City's Times Square and the now-deceased IS fighter Mohammed Emwazi (AKA "Jihadi John"). 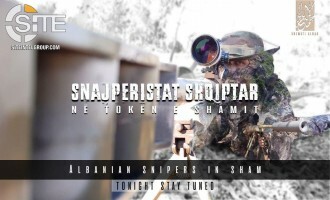 A jihadi media group released a documentary on Albanian snipers in Syria, covering their role in the battles and the weapons they utilize, and featuring training and operation footage. 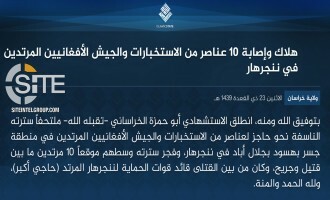 The Islamic State's (IS) Khorasan Province claimed killing and wounding 10 enemy elements in a suicide bombing at a checkpoint for the Afghan intelligence and army in Nangarhar. 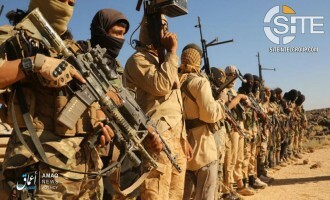 After the Islamic State (IS) released videos accusing al-Qaeda in the Arabian Peninsula (AQAP) of unjustly attacking its positions in the Qifa area in Yemen's al-Bayda' governorate, and charging that it cooperated with the Yemeni army, AQAP explained its positions on the conflict. The Islamic State's (IS) Khorasan Province issued a formal communique for the two-man suicide at a Shi'ite mosque in Paktia, Afghanistan. The Afghan Taliban claimed inflicting casualties among 15 U.S. soldiers in a suicide bombing in Afghanistan's Parwan province. 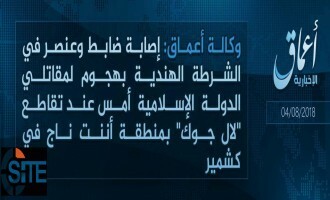 'Amaq News Agency reported that the Islamic State (IS) is responsible for the suicide attack at a Shi'ite mosque in Paktia in eastern Afghanistan. 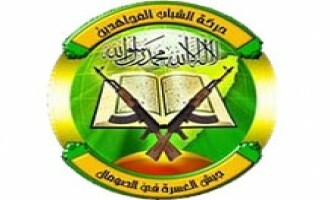 Al-Qaeda in the Arabian Peninsula (AQAP) claimed credit for the car bombing on UAE-backed Security Belt Forces (SBF) in Yemen's Abyan governorate. 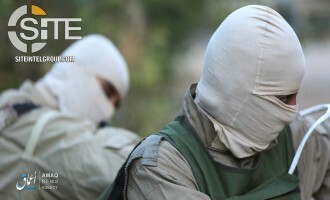 The Islamic State's (IS) 'Amaq News Agency reported that the group is responsibile for an attack on Indian police in Kashmir. After announcing its defeat of the Islamic State's (IS) Khorasan Province in Jowzjan, Afghanistan, the Afghan Taliban invited displaced citizens to return and assured them of safety and a "dignified life". 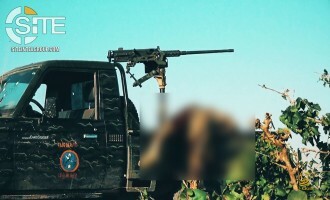 The Afghan Taliban claimed killing five American soldiers in a mine blast on their armored vehicle in Bagram district in Afghanistan's Parwan province. An Islamic State (IS)-linked group published an infographic for preparing a biological weapon and suggesting how and where to deploy it. 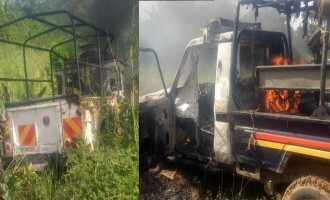 The Mali-based al-Qaeda (AQ) branch, Nusrat al-Islam wal Muslimeen (NIM), reportedly claimed credit for a landmine explosion on a Malian army vehicle, while a source "close" to the group denied the killing of two leaders in Libya. 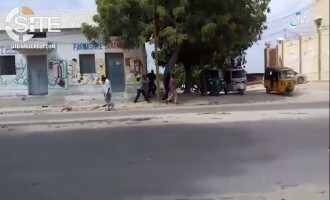 Al-Qaeda in the Arabian Peninsula (AQAP) claimed wounding a commander in the UAE-backed Rapid Intervention Forces and killing four of his escorts in al-Mahfad district in Yemen's Abyan governorate. 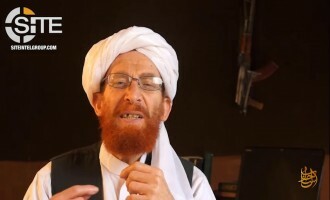 Al-Qaeda (AQ) leader Ayman al-Zawahiri rallied fighters and Muslim civilians alike in East Africa to establish a "foundation for Islam and jihad" and integrate into the global war being waged against the United States and Israel and their allies. The Islamic State (IS) released the first episode in a video series providing statistical breakdowns of IS operations, covering in this installment the week of July 26 - August 1, 2018. 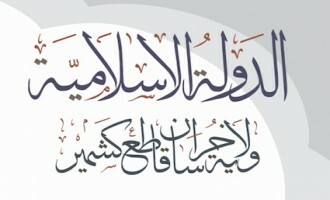 Two groups and Islamic scholars announced their joining the Syria-based al-Qaeda (AQ)-aligned Hurras al-Deen. 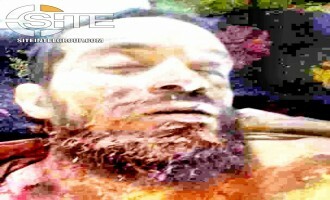 The Afghan Taliban claimed killing 3 U.S. soldiers during clashes in Shindand district in Afghanistan's Herat province. 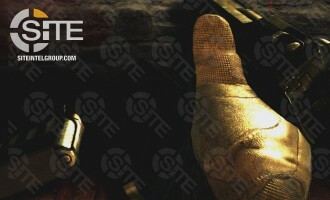 An Islamic State (IS)-linked group depicted U.S. President Donald Trump assassinated by gunshot. The Islamic State's (IS) al-Bayda' Province in Yemen released a video of fighters from al-Qaeda in the Arabian Peninsula (AQAP) it is holding captive and accusing the AQ branch of initiating the conflict, and also identified 13 IS fighters killed by the AQ branch. 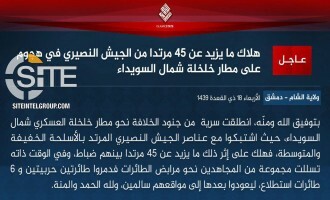 The Islamic State (IS) claimed killing at least 45 Syrian soldiers in an attack at Khalkhalah Military Airbase in Syria's Suwayda governorate, and also destroyed two warplanes at the location. 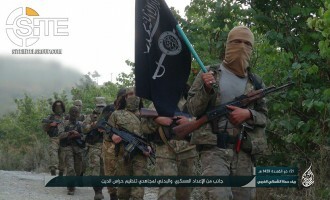 The Afghan Taliban issued a statement boasting of defeating the Islamic State's (IS) Khorasan Province in Jowzjan and "purging" its fighters from the whole of northern Afghanistan. 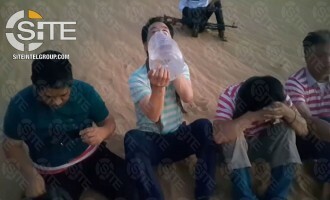 Four foreign employees of an engineering company in Tripoli, Libya, appear as hostages in a video, each appealing to their president to help them and noting that they are suffering. 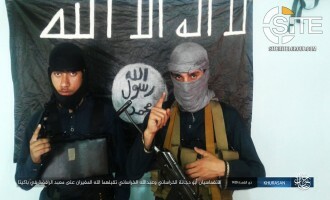 The Islamic State's (IS) Khorasan Province claimed credit for a two-man suicide raid on the Department of Refugees and Returnees in Jalalabad, the capital of Nangarhar in eastern Afghanistan. Videos of an Italian man, Alessandro Sandrini, and a Japanese man, Yasuda Jumpei, were released in which they appealed for their release. 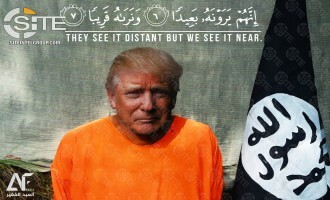 An Islamic State (IS)-linked group depicted U.S. President Donald Trump as an IS captive and continued its bio-terror propaganda campaign with two new posters threatening attacks. The Islamic State (IS) identified a Moroccan as the executor of a suicide bombing on Filipino soldiers on Basilan island in the Philippines. The Islamic State's (IS) 'Amaq News Agency reported that the group is responsible for a suicide bombing on Filipino soldiers in Basilan island in the Philippines. 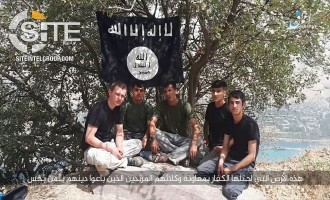 The Islamic State's (IS) 'Amaq News Agency released a video of the five executors of the attack on foreign tourists in Tajikistan. 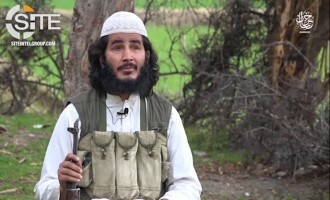 The Islamic State's (IS) Khorasan Province claimed credit for the suicide bombing killing prominent militia commander and tribal leader Hayat Khan in Nangarhar in Afghanistan. The Islamic State (IS) has reportedly sent photos of Druze women it took prisoner in Syria's Suwayda governorate and recorded a video of one, wherein she gives the group's demand that the Syrian military cease its offensive to retake the area or they will be executed. 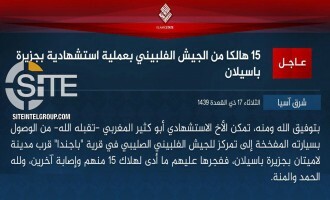 The Islamic State (IS) claimed credit for the vehicular and knife attack on foreign tourists in Tajikistan. The North Baghdad division of the Islamic State's (IS) "Iraq Province" released a video showing executions of "apostates" and spies, some in their own homes, and attacks on Popular Mobilization forces. An Islamic State (IS)-linked group urged lone wolves to follow the example of the Toronto shooter and mount attacks in the West. 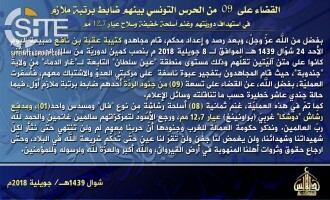 The Mali-based al-Qaeda (AQ) branch, Nusrat al-Islam wal Muslimeen, claimed credit for attacking French and MINUSMA forces in Aguelhok before the Malian elections. 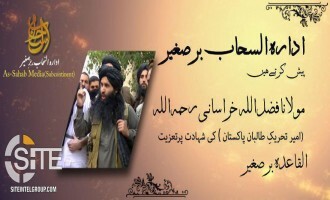 The Islamic State's (IS) Khorasan Province issued a formal communique for the two-man suicide raid on what it described as a USAID headquarters in Jalalabad, the capital of Nangarhar in eastern Afghanistan. 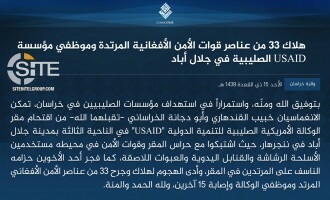 The Islamic State's (IS) 'Amaq News Agency reported that the group is responsible for a two-man suicide raid at the USAID headquarters in Jalalabad, the capital of Nangarhar province in eastern Afghanistan. 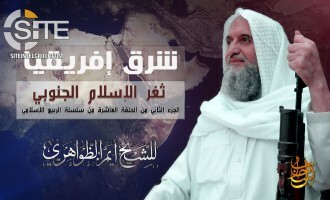 Nusrat al-Islam wal Muslimeen (NIM) leader Iyad Ag Ghaley (AKA Abu al-Fadhil) addressed a speech to Malian Muslims, urging them to join the group and fight forces from G5 Sahel countries and France. 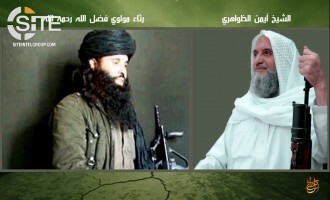 Nusrat al-Islam wal Muslimeen (NIM), the Mali-based branch of al-Qaeda (AQ), warned tribal leaders from allowing their tribesman to join a French ally against fighters. 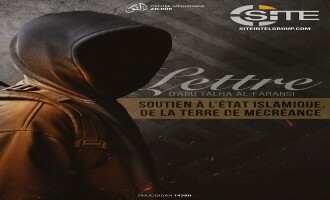 A French Islamic State (IS)-linked group published a letter advising Muslims in France how to support the IS despite living in a "land of disbelief" and under the watchful eye of enemy intelligence. 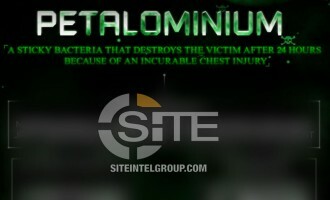 An Islamic State (IS)-linked group depicted a town ruined by a CBRN attack as the latest installment in its poster series promotion biological terrorism. The Islamic State (IS) released the first video from its "Hauran" division for "Sham Province," showing footage of suicide bombings and clashes that ultimately led to the conquest of Heet, a village in Syria's Daraa governorate. 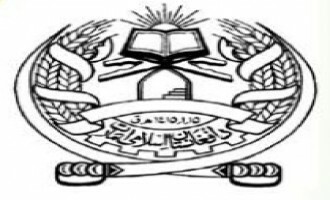 Afghan Taliban Claims Suicide Bombings in Kabul and Wardak on Intelligence Unit Commandos as "Retribution"
The Afghan Taliban claimed suicide bombings in the capital, Kabul, and in Wardak province on Afghan intelligence unit commandos as "retribution" for alleged crimes. 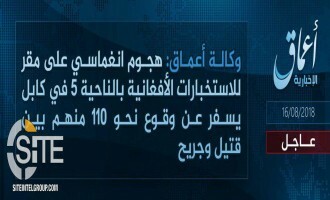 The Islamic State's (IS) 'Amaq News Agency gave a total casualty count of over 435 from Syrian regime forces and militiamen in attacks on multiple axes in Suwayda governorate. 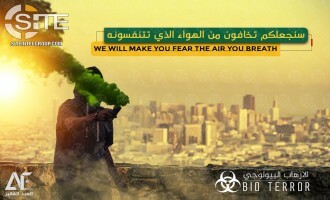 Since releasing a video urging lone-wolf jihadists to carry out biological weapon attacks in the West, an Islamic State (IS)-linked group launched a poster campaign promoting the idea, and depicted in the fourth poster a man holding such a weapon in a city. 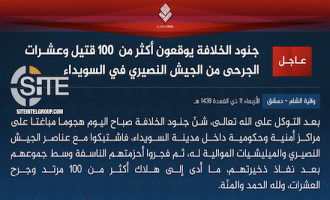 The Islamic State (IS) claimed killing over 100 and wounding dozens of Syrian regime forces in clashes and a suicide bombing in Suwayda. 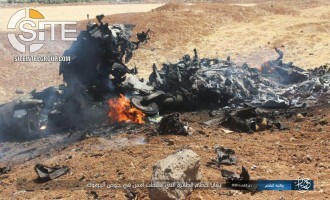 The Islamic State (IS) released photos of the Syrian fighter jet that was reportedly shot down by Israel Defense Forces (IDF) and crashed in the Yarmouk Basin. 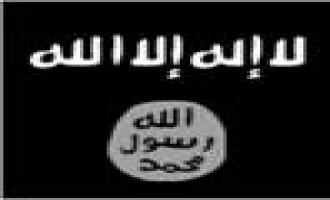 'Amaq Reports Toronto Shooter a "Soldier of the Islamic State"
The Islamic State's (IS) 'Amaq News Agency reported that the shooter in the recent attack in Toronto, Canada, was a "soldier of the Islamic State". 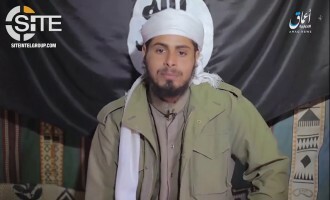 The Islamic State (IS) claimed its sixth suicide bombing in Daraa since actively engaging Syrian regime forces in the governorate, while the group's 'Amaq News Agency released a video of a fighter there challenges enemies from the regime and militias. 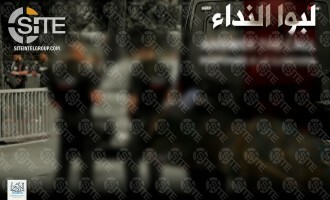 The Uqba bin Nafi Battalion, the Tunisian branch of al-Qaeda in the Islamic Maghreb (AQIM), released photos of the National Guard forces killed in the July 8, 2018, attack on their patrol in Ghardimaou.